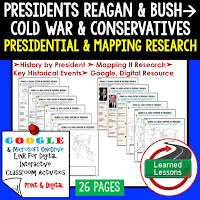 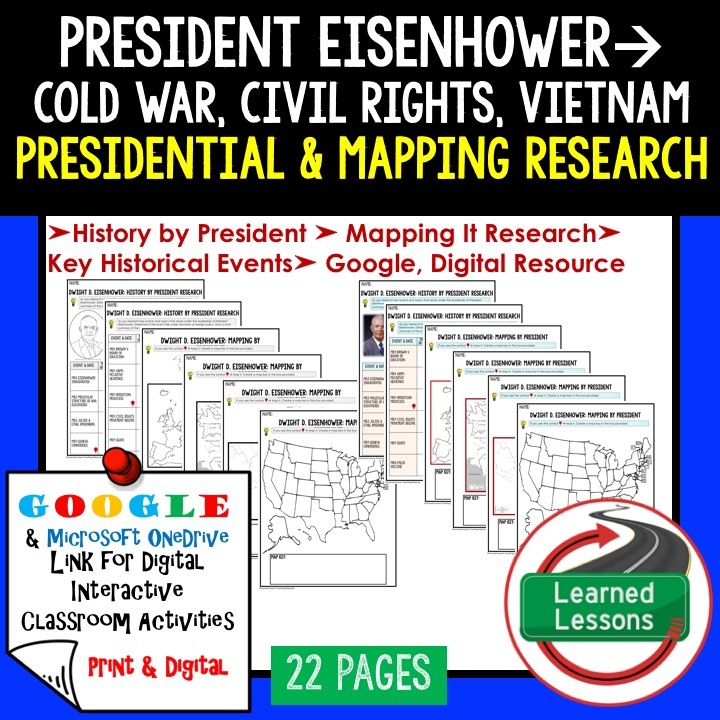 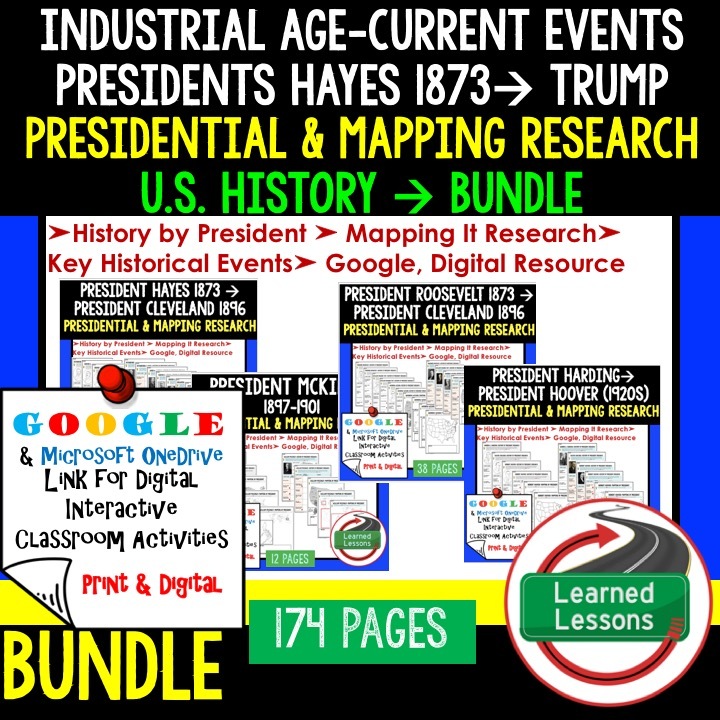 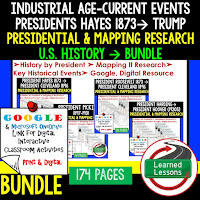 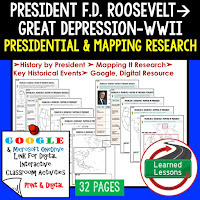 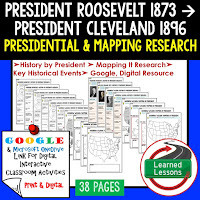 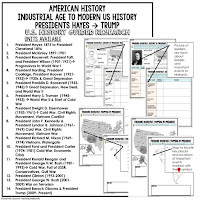 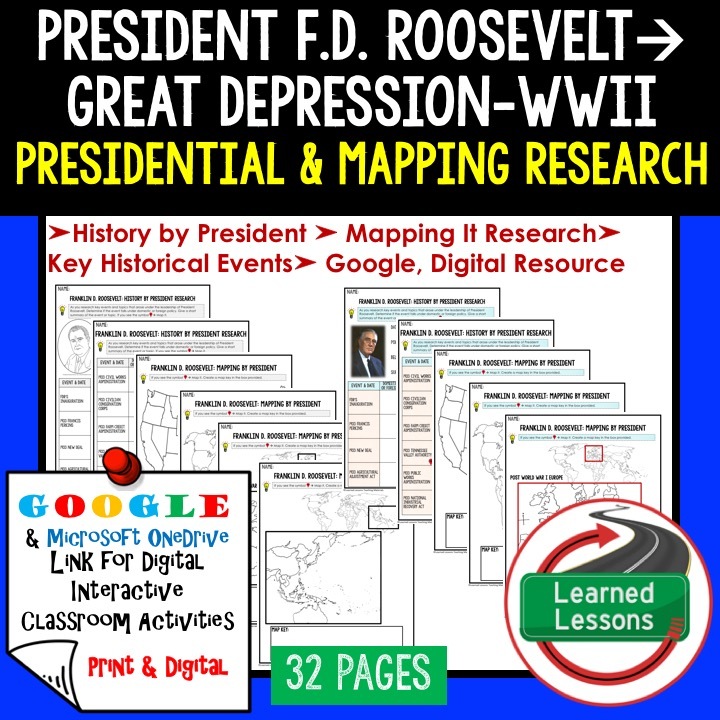 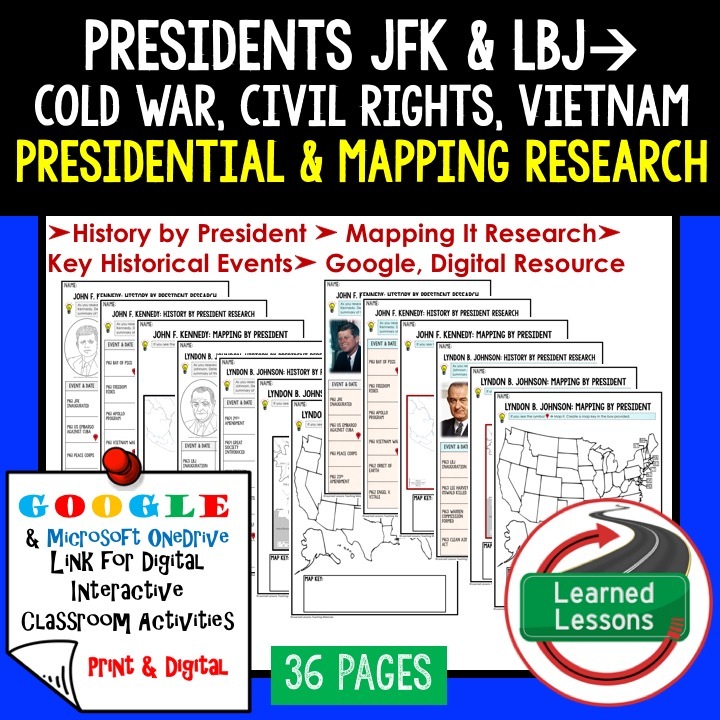 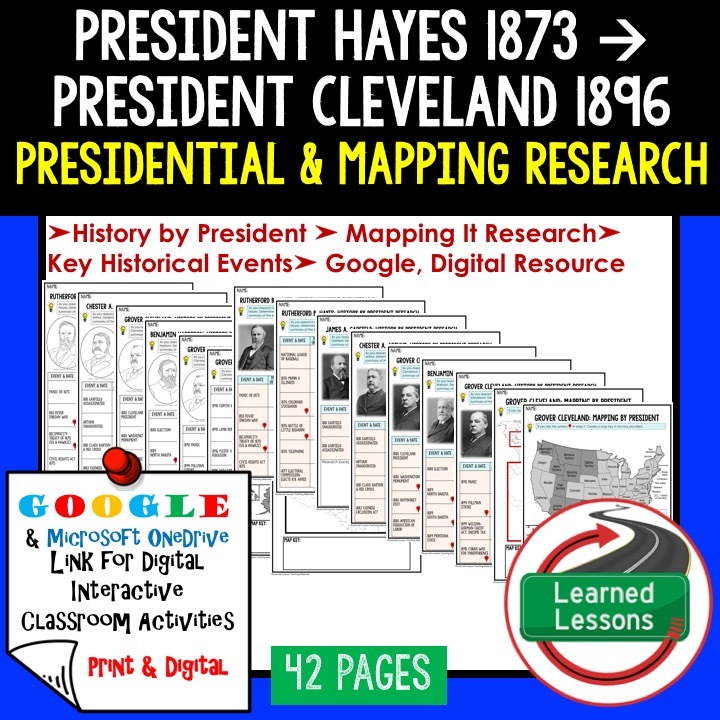 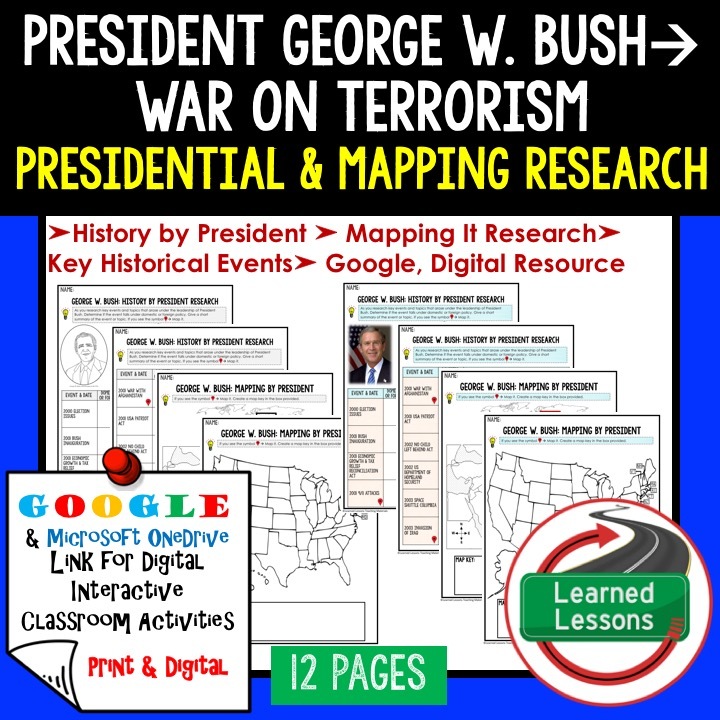 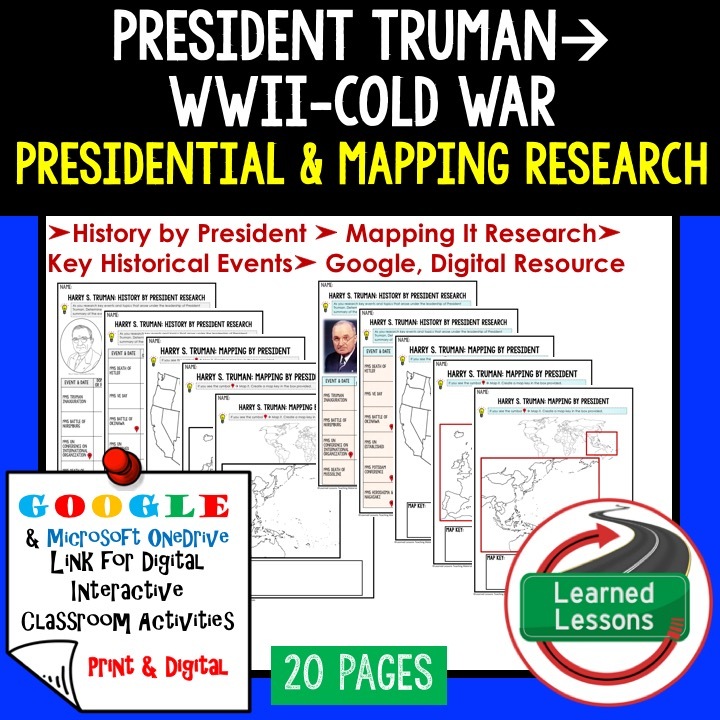 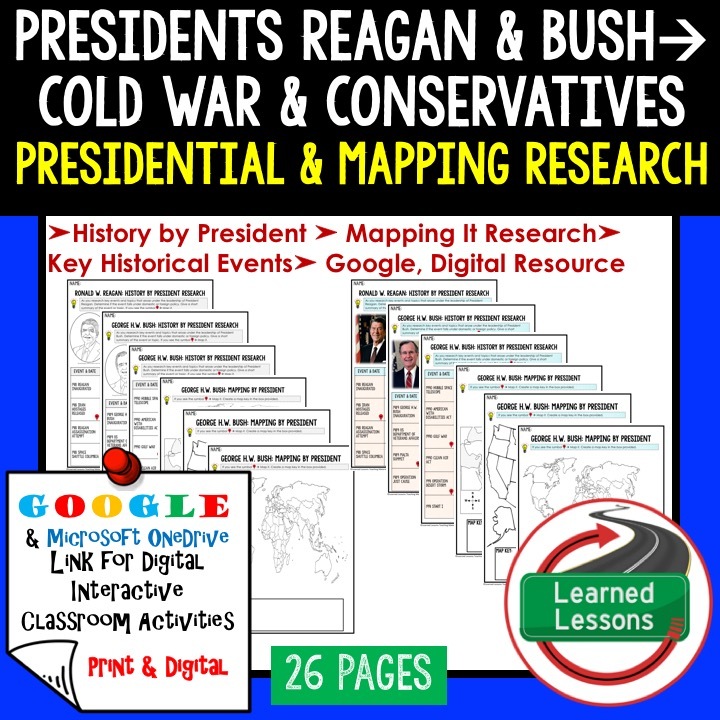 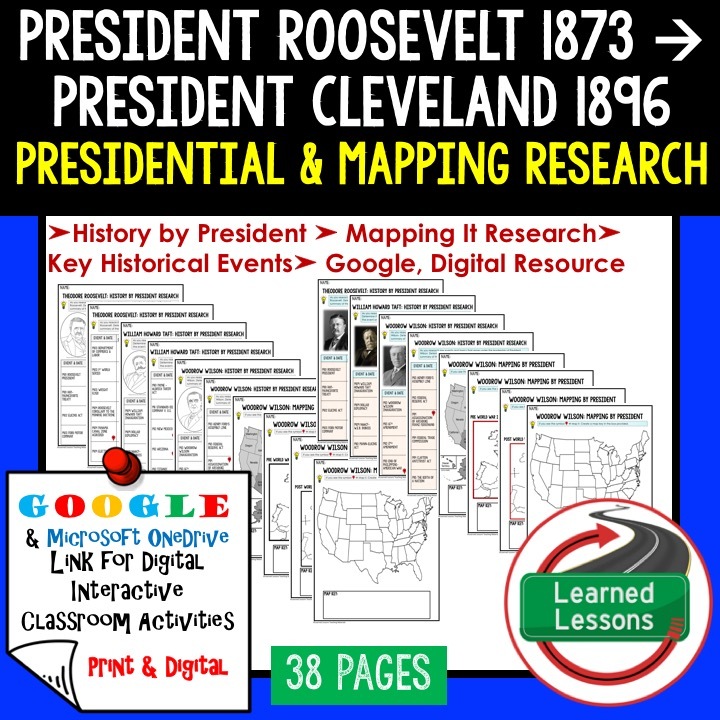 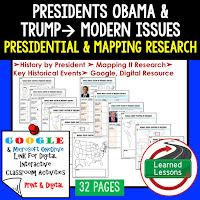 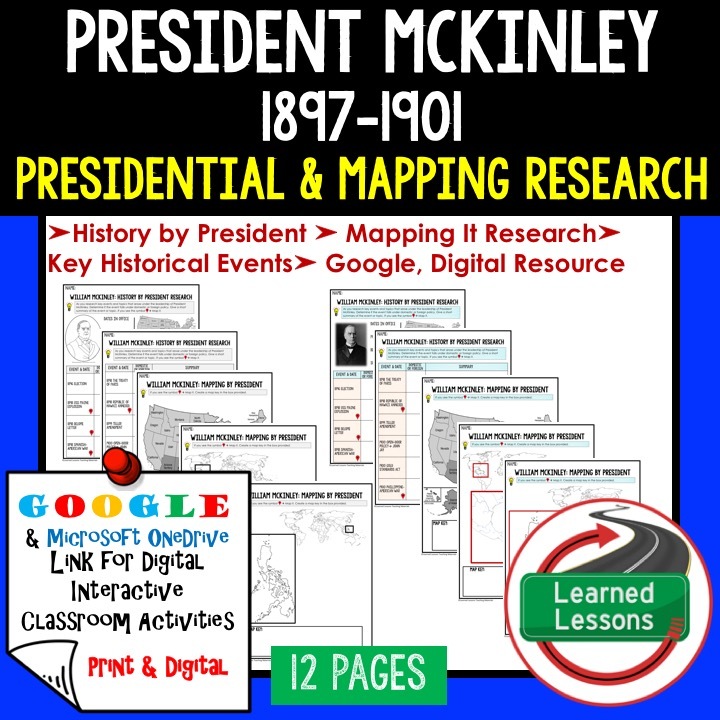 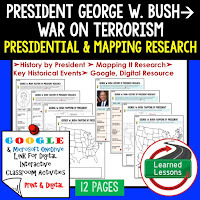 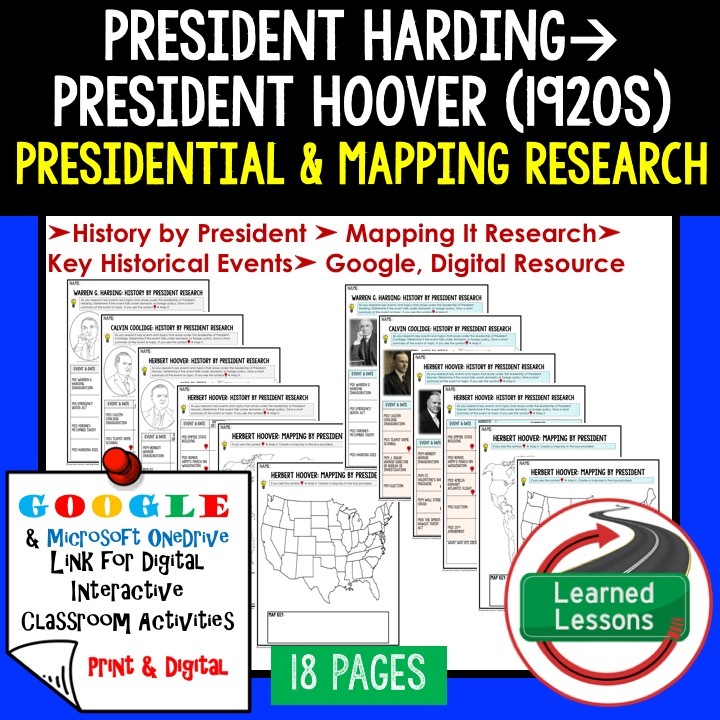 This RESEARCH AND MAPPING packet is a new and engaging way to have students complete guided research either in print (interactive notebook) or digital (digital interactive notebook). 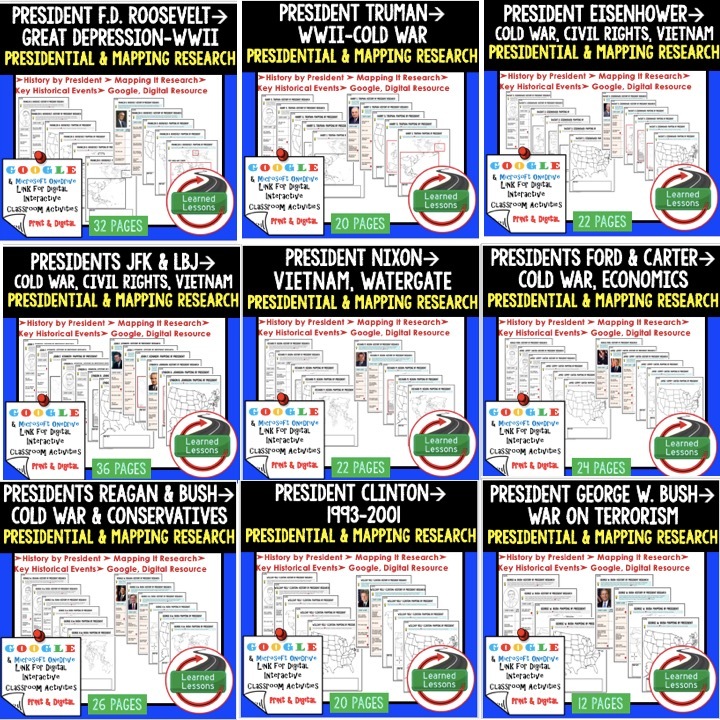 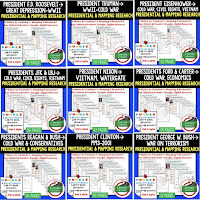 Each set includes major events for the time period. 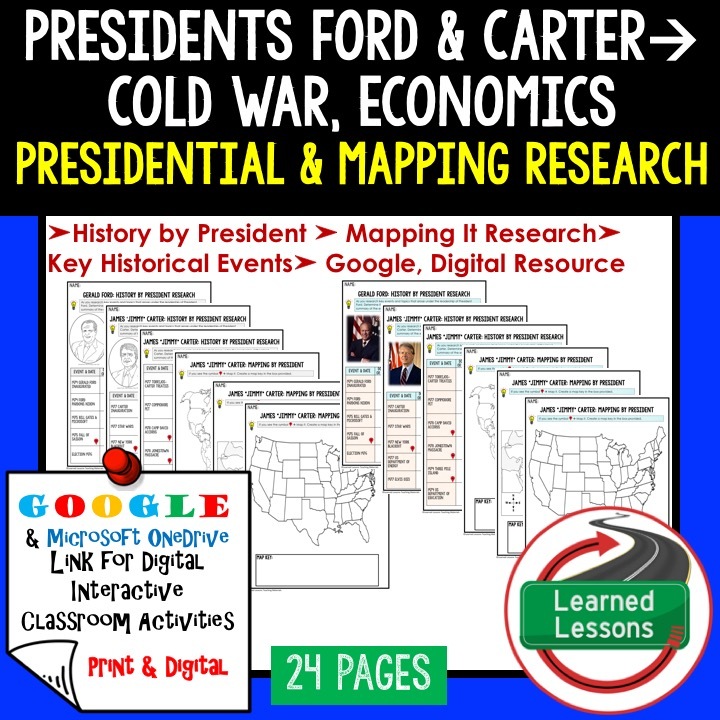 Students will research and determine if each event is either foreign or domestic, then give a summary of the event. 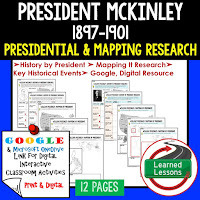 If the event has a location symbol, student will use the mapping guide to MAP It and create a map key. 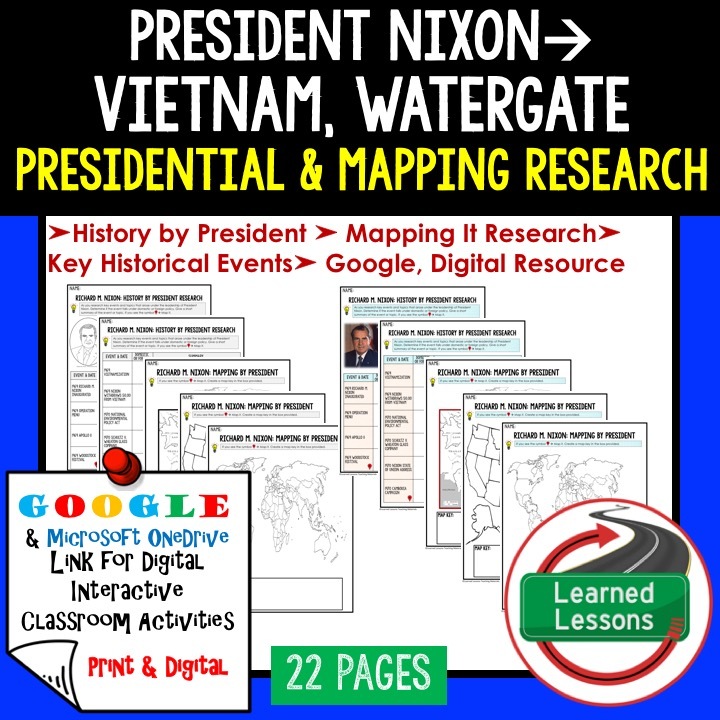 This would be great for a flipped classroom. 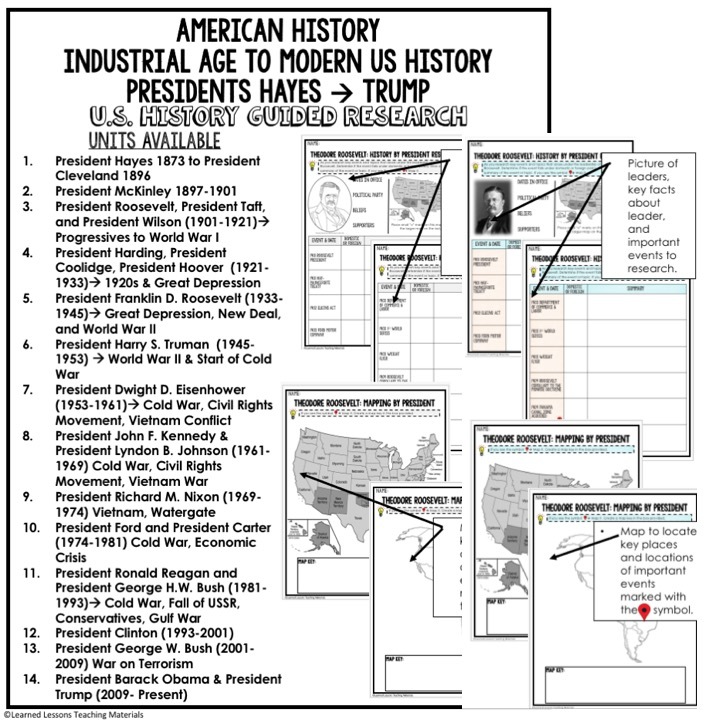 THIS IS ALSO PART OF AMERICAN HISTORY MEGA BUNDLE PART 2! 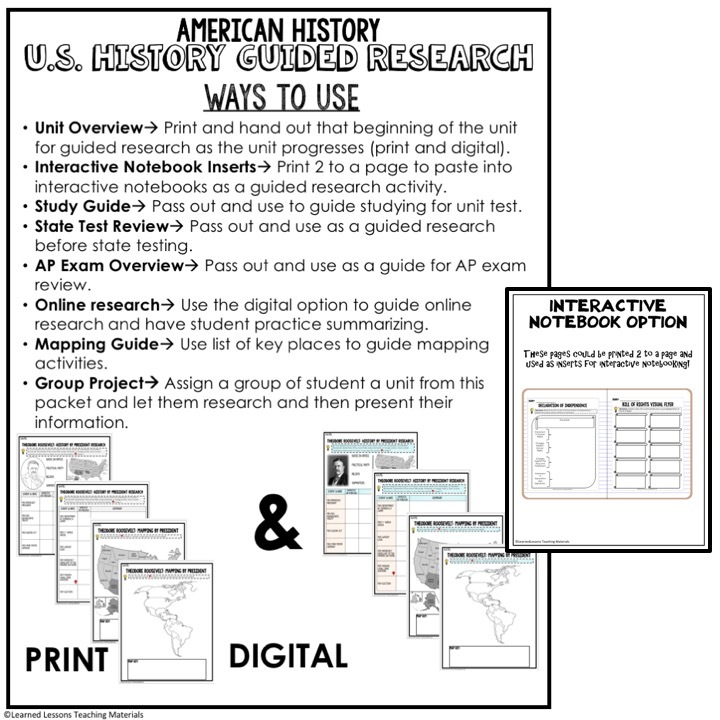 ➤Unit Overview➤ Print and hand out that beginning of the unit for guided research as the unit progresses (print and digital). 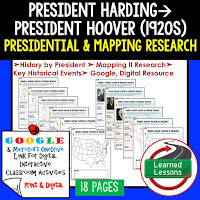 ➤Interactive Notebook➤ Inserts Print 2 to a page to paste into interactive notebooks as a guided research activity. 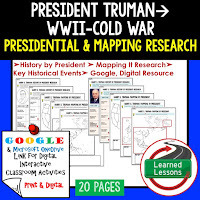 ➤Study Guide➤ Pass out and use to guide studying for unit test. 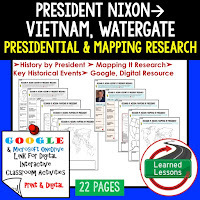 ➤State Test Review➤ Pass out and use as a guided research before state testing. 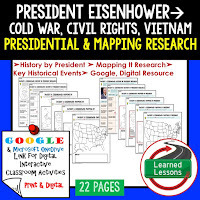 ➤AP Exam Overview➤ Pass out and use as a guide for AP exam review. 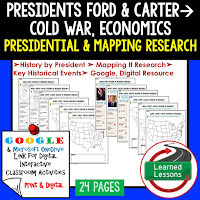 ➤Online research➤ Use the digital option to guide online research and have student practice summarizing. 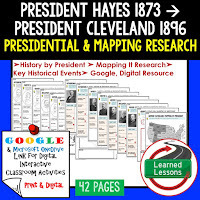 ➤Mapping Guide➤ Use list of key places to guide mapping activities. 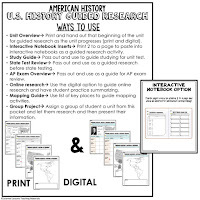 ➤Group Project➤ Assign a group of student a unit from this packet and let them research and then present their information.